This article is part of our special report MWC17: The power behind the tech revolution. The irruption of self-learning machines, artificial intelligence, virtual reality, connected objects (the so-called Internet of Things) and the use of vast amounts of data (Big Data) are creating opportunities never seen before in the digital sphere. The Mobile World Congress, which opens in Barcelona today (27 February), will seek to demonstrate that these technologies are no longer nascent sectors with unclear economic value. Dozens of start-ups will flock to Barcelona to showcase the tangible benefits these technologies can bring to businesses, consumers and citizens. But the digital revolution is still in its infancy and is highly reliant on the development of a new generation of mobile broadband connections (5G). 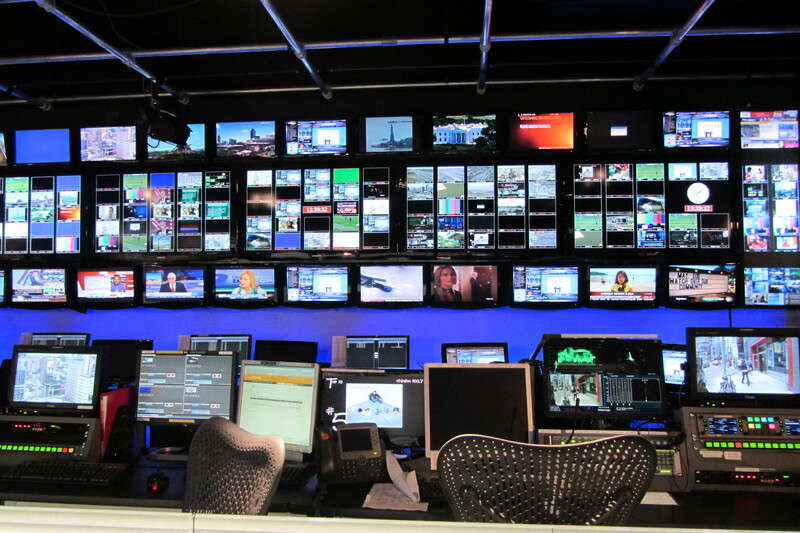 If successfully deployed, 5G will allow hundreds of thousands of objects to be connected simultaneously, with almost immediate response between them. “5G is an evolution from 4G , but also a revolution. It will transform how people live, work, play and communicate – and transform businesses too,” Commission Vice-President Andrus Ansip wrote in a blog post last Thursday (23 February). As Ansip said, Europe wants to “preferably lead” in the development of 5G. In Barcelona last year, it launched an action plan with various companies to shape the next generation of broadband networks. The European Commission will unveil its strategy to develop the next generation of mobile broadband network (5G) on Monday (22 February), EURACTIV has learned. One year on, Europe realises it needs to step up efforts to succeed in the global digital race. For that reason, Ansip will take the stage tomorrow (28 February) to urge both the private sector and member states to take their responsibility, EU sources told EURACTIV. The vice-president is expected to call on the different industries to get more actively involved in the deployment of broadband networks. Connected cars, one of the most promising fields in 5G, will be on display in Barcelona this year. Other sectors including telesurgery, robotics, ‘smart cities’ and improved energy management will demonstrate how they intend to take advantage of mobile broadband. The EU executive believes that European industries need to move faster in testing and deploying 5G capabilities. 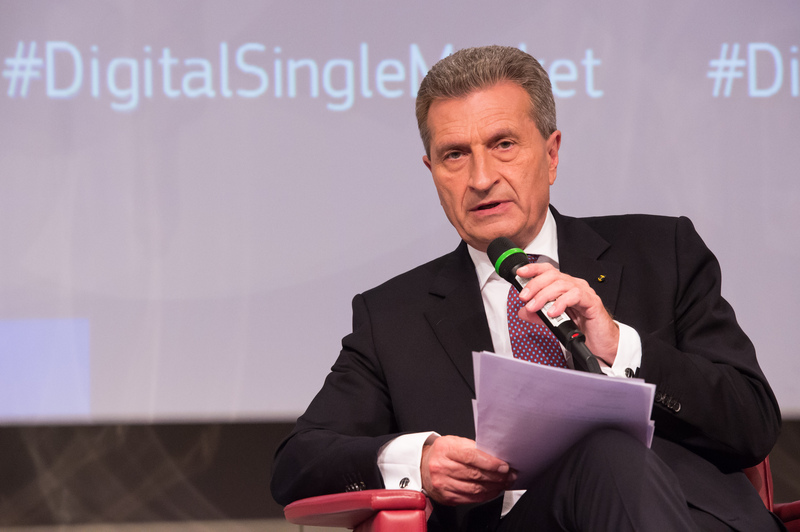 European Digital Commissioner Günther Oettinger said on Tuesday (23 February) that “Europe cannot afford to be left behind” on what he considers to be the most important issue of his mandate. In order to pave the way for the digital revolution powered by 5G, member states must liberate spectrum and coordinate the right bandwidth to ensure stable connectivity across Europe. Otherwise applications such as connected cars could be seriously hampered. 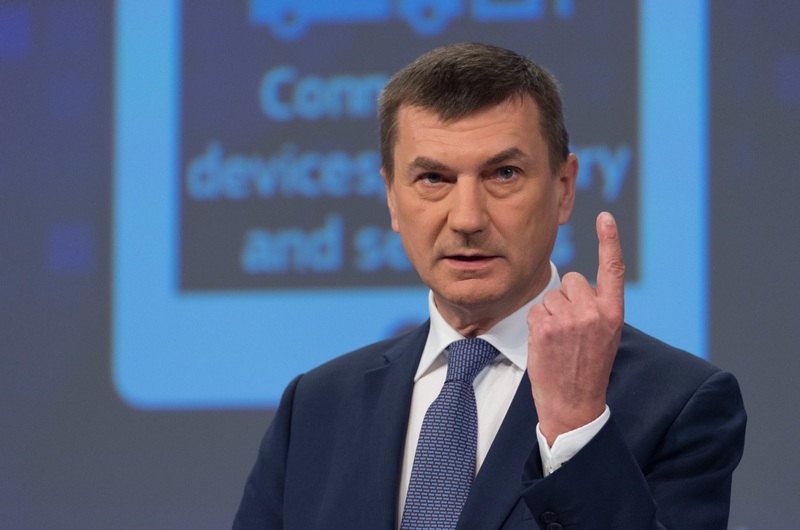 “Without timely availability of the right amount of spectrum in the right bandwidths, we put Europe’s connected digital future at risk,” Ansip warned last Thursday. That is why he will urge member states to better coordinate the economic conditions of spectrum use, in particular aspects such as assignment procedures, license duration, leasing and sharing. The Commission also wants national governments to launch cross-border 5G trials as soon as possible. The executive already proposed technical conditions for all member states by setting a common bandwidth for 5G (700 MHz frequency). But the capitals are wary of interference by Brussels in an area where economic interests are enormous and national interests are at play. Indeed, spectrum licenses represent a significant source of revenue for national coffers. “This is not a power game between EU countries and the Commission,” Ansip wrote, trying to defuse tensions over spectrum use. The Commission is convinced that Europe can become a “front-runner” in 5G. But if industry and member states fail to cooperate, the Commission warns Europe could fall behind in the global race. Asian countries are progressing quickly enough to showcase the first results already next year. Tech champions are pushing their national authorities to impose standards that are the most beneficial for their businesses, and write the rules that will give them a competitive advantage in the global race. But given the global nature of applications including the ‘Internet of Things’ or Big Data, Europe emphasises the importance of reaching a common understanding between countries and regions for 5G standards. 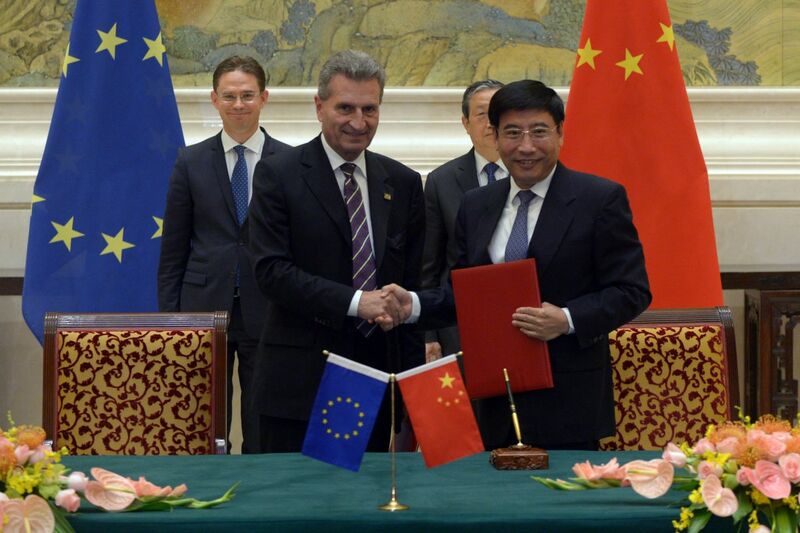 The EU signed an agreement with China this morning (28 September) for joint research to develop 5G mobile networks expected to be available for use in Europe by 2020. Ansip admitted in his post that setting global standards “is not an easy issue, technically or politically”. But he will urge the global players gathered in Barcelona to maintain the level of cooperation and avoid fragmentation. Even if consensus comes as a result of a long and arduous process. 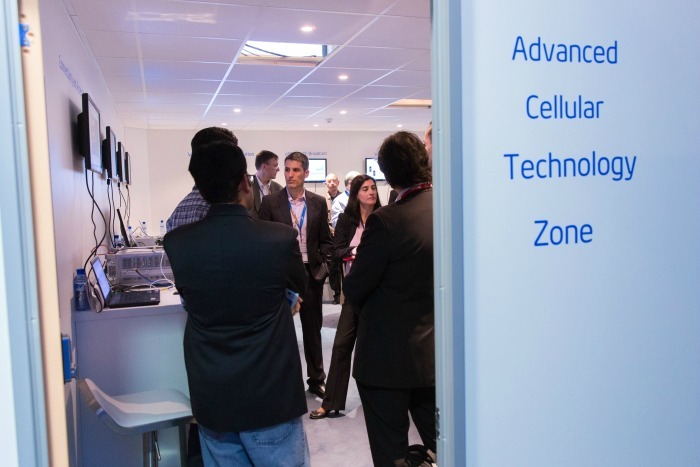 27 February-2 March: Mobile World Congress (Barcelona). 2018: first 5G trials in selected areas. 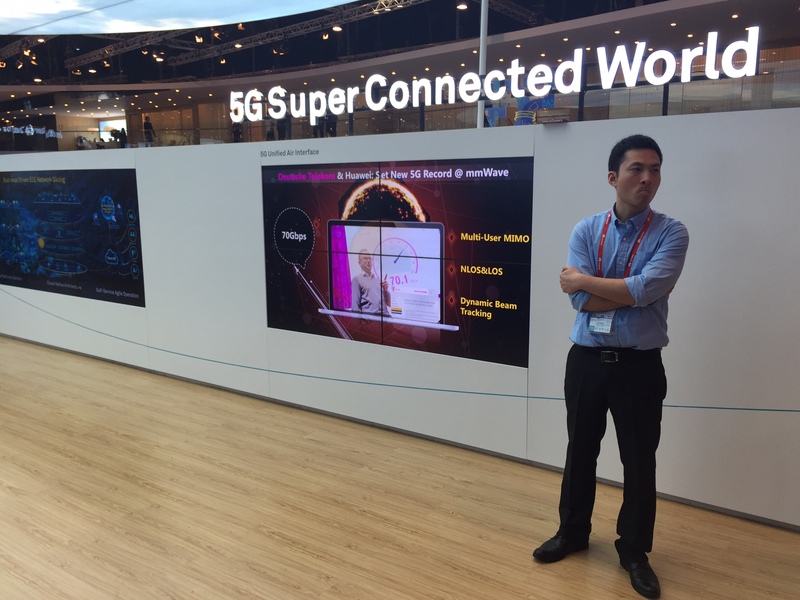 2020 onwards: commercial deployment of advanced 5G networks. 2025: uninterrupted 5G in all urban areas and major roads and railways.